I’m a bit of marketing geek – more specifically SEO. SEO is basically about increasing your google rankings and getting found when your clients are searching for something in particular. It’s a massive and often confusing subject so if you’re feeling a bit overwhelmed by it I don’t blame you! One of the very very many different elements that affect your SEO is the backlinks you have coming to your site. Backlinks are basically when one website links back to yours. If you get backlinks from good quality websites it tells Google that your website is also good quality and trustworthy and you’ll be rewarded with Google juice and move up the rankings. As wedding photographers we have it quite easy – there are lots of wedding blogs who need beautiful wedding content and we have it in bucket loads. In return for providing them with images, they provide us with a backlink. There’s also a good chance that you’ll get direct traffic from the blog itself and perhaps even some enquiries. Win Win. Submitting to wedding blogs can be very time assuming. A lot of them require you to resize the images or upload via dropbox etc etc etc. So it can take a good chunk of your time. That’s why it pays to be choosey about which blog to submit to in the first place and to be realistic about your chances of being accepted. If you know full well that your wedding is not at all rock and roll, then it’s probably not worth wasting your time submitting it to Rock n Roll Bride. The larger and more popular blogs are sent hundreds of weddings per month. Their job is to show their readers something new and inspirational as much as possible. So don’t get the hump if your wedding gets turned down. It might be that they’ve shown something similar recently, it might be that the style of the wedding doesn’t fit the blog, it might be that they are in a bad mood and saying no to everything that day! There’s absolutely no need to take it personally when you get a no – it’s not a reflection of your photography skills or the wedding itself. We have a personal connection to the weddings we shoot and the couples we work with – wedding blogs don’t. They see it much more objectively. So dust yourself off and move on to the next blog. Each blog has it’s own particular submission guidelines so take a few minutes to have a read through before you start. It’s a pain getting a rejection just because you’ve not submitted the wedding in the correct way. Here’s a selection of some of my favourite wedding blogs to submit to. I’ll add more and update regularly. Adored Bride – A new kid on the block. Adored Bride describes itself as a source of eclectic wedding inspiration with a focus on the emotions and stories of a wedding day. Brides Up North – The blog has been going for a few years so has a good domain authority. Concentrating (obviously) on Northern based weddings, the blog accepts quite a wide style of weddings and photography. Bespoke Brides – land on the Bespoke Bride wedding and you are hit in the face with colour! I love this blog. It’s all about creativity, colour and brides doing things their own way. The English Wedding Blog – I have a long and happy relationship submitting weddings to the lovely Claire at the English Wedding Blog. Not surprisingly they concentrate on weddings in England (well obvs) but they show a good range of styles and photography. Rock My Wedding – A big and popular wedding blog and a toughie to get a wedding on purely because of the number and quality of weddings they feature. Concentrates on stylish and inspirational weddings. Rock n Roll Bride – Another very popular blog aimed at wedding couples doing things differently! Great blog for inspiration but a toughie for us photographers to crack. Im sure the editor has literally seen it all so it can take something special to impress. Plans and Presents – Alison, the editor is absolutely lovely and features a huge and inspiring range of weddings. This is a great blog if you want to submit something that isn’t massively crazy or out there – or perhaps isn’t too details heavy. Plans and Presents concentrates more on the story and people behind the wedding. Misfit Wedding – Another relatively new blog. The blog definitely concentrates on the alternative and more unusual wedding days. And is a great resource for submitting to if you’ve got something a bit out there to share. 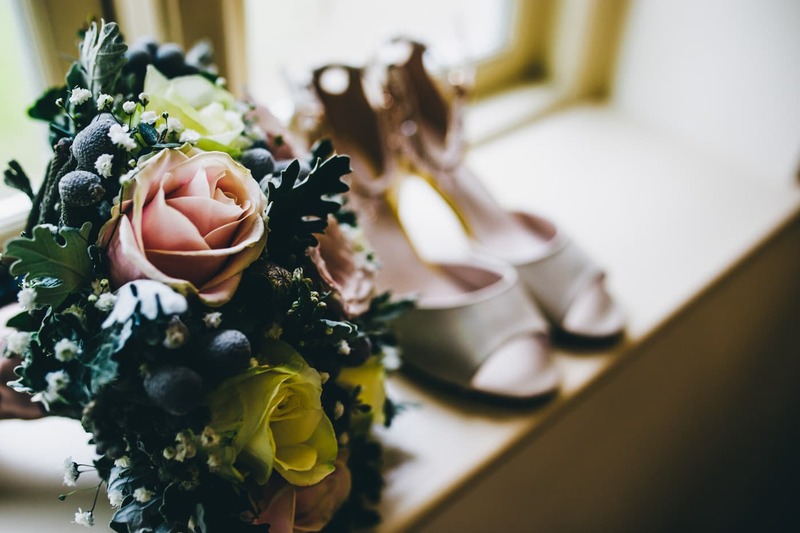 Bridal Chic in the City – Bridal Chic in the city is a lovely little blog based in Manchester featuring lots of urban wedding inspiration. It features quite a variety of wedding styles. Love My Dress – A veteran of the wedding blog scene, Love My Dress is a long standing and well respected wedding blog that curates it’s content carefully. Definitely not the easiest blog to be featured on but always worth a try! Whimsical Wonderland Weddings – One of my favourite blogs to read because of the beautiful, colourful and relaxed weddings it features. So You’re Getting Married – this blog features lots of wedding pretty and has some great helpful wedding planning articles. Festival Brides – One for lovers of boho and festival themed weddings. This is a popular blog which sticks to it’s style well. Easy Weddings – This is another quite new blog on the UK scene although they’ve been established in other countries for quite a while. Part blog/part directory, this website features a wide variety of weddings. Love Me Love My Wedding – I like this blog because it’s content rich and shares a lot of helpful blog posts as well as real weddings. Boho Weddings – For brides looking for that boho/luxe vibe. They take weddings of various styles but always with that cool boho vibe. Creative Brides – got an amazing DIY to showcase? This might be the blog for you. The Wedding A – List – A relative newcomer to the blog scene. The blog doesn’t specify a certain style of wedding but looks for weddings “filled with joy and personality. The Natural Wedding Company – aimed at couples planning a natural and eco-friendly wedding. If you’ve got a wedding like this then this might be the blog for you! Love Our Wedding – an online wedding magazine with an emphasis on helping with wedding planning. The Nuptial – A Yorkshire based wedding blog. Featuring – obviously – weddings from Yorkshire! Creative Wedding Co – celebrating weddings jam packed with creativity and personal touches. Unconventional Weddings – a blog celebrating the alternative and unusual in weddings. Cake and Lace – This blog showcases all things beautiful and isn’t detailed orientated. So if you have a wedding that’s not detail heavy then it could be the perfect fit. Marry Me Ink – Tattooed bride or groom? Then this is a great blog for your wedding. Celebrating inked up couples who want to show off rather than hide their tattoos. Coco-Wedding Venues – Unsurprisingly concentrates on the venue so if you’ve got a wedding in a super venue with lots of shots then this is worth a try. Mr and Mrs Unique – a blog for fun and alternative weddings. Glamour and Grace – A blog with a real fine art feel. For brides with a love of vintage styling and heirloom pieces. Great you’ve got a bride wearing her grandma’s dress basically! You Mean the World to Me – calling all destination photographers! This is the blog for you. Hey Wedding Lady – I love this pretty blog. Full of beautiful photography, details and lovely weddings. Very stylised. Dotty Weddings – An alternative and fun wedding blog. NuBride – A wedding for non traditional or non-conventional wedding with a big emphasis on diverse weddings. The Un-Wedding Blog: Got a couple who rebelled against the whole wedding thing a bit? This could definitely be the blog for their wedding. They also make it super easy to submit – just send a link to your gallery. Magpie Weddings: The Magpie blog features styled shoots, real weddings, guests posts and DIY how-to-posts. They love everything quirky, colourful and boho. Bride and Tonic: A British wedding blog. They have a relaxed and ethical approach to weddings so if yours fits the bill then this blog is worth a try. Ruffled: A really well established wedding blog mainly featuring weddings from the US but also internationally. Big on chic, colorful, feminine, cheerful, elegant and stylish weddings. Juno and Joy: A UK wedding blog that concentrates on modern and luxe styled weddings. Junebug: One of the big boys – long established and very particular on it’s style. A backlink from this one is a biggie! One Fab Day – Originally an Irish wedding blog this site now features lots more UK weddings too. Colourful and quirky weddings seem to be the trend. Secret Wedding Blog: It’s not so secret any more but this lovely blog focuses on diverse, multicultural and interfaith weddings. The Outside Bride: The name gives it away – this blog concentrates on outdoor weddings, venue inspiration and hints and tips for couples planning an outdoor ceremony. For more SEO, Marketing and Photography tips please keep visiting my photographer’s blog or for some 1:1 help read about my mentoring and workshops here.